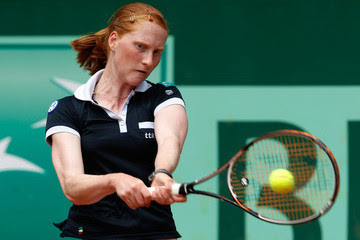 Six senior titles on the ITF circuit, including five titles in her last six tournaments, finishing the year on a 20-match winning streak in ITF tournaments, a Junior Grand Slam title at Roland Garros and qualifying for the main draw at Wimbledon, 2012 has been a stunning year for the young German. She has improved her ranking from 234 at the start of the year to number 78 in the world, meaning she is now guaranteed direct entry into next year’s Australian Open and should start playing regularly on the full WTA circuit. It has been an impressive year for the 16-year old from the Czech Republic. Three singles titles, victory with the Czech Republic at the U16 Europe Winter Cup and reaching the number 3 ranking in the juniors were the highlights, along with a quarter-final run in the junior French Open. She has plenty of time left in the juniors having only turned 16 in May, and she will likely challenge in the later stages of the junior Grand Slams in 2013, as well as making her first steps onto the main ITF tour. A realistic target could be to push toward the top 500 in the coming year. 2012 has been a relatively disappointing year for the young Belgian. After four titles in 2011 and a world ranking of 297, she might have been hoping to push into the top 200 this year, but results have not entirely gone her way. However, a poor spell in the middle of the year was explained by her focusing on graduating high-school and her results have picked up in the later part of the year, reaching the final in Glasgow and winning the title in Equeurdreville. The highlight of her year was in Brussels, where she beat two top 100 players before losing in straight sets to Agnieszka Radwanska, but that run demonstrated that she is capable of playing at a high level. Her aim for 2013 should really be to push into the top 200 and move toward the top 100, a level that she should be able to reach. 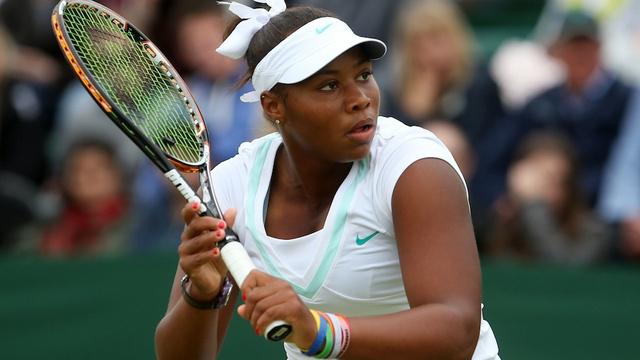 A year that started so well for Townsend, winning the junior Australian Open singles and doubles title, as well as the junior Wimbledon doubles title, ended in controversy when she was asked by the USTA to sit out the junior US Open due to her weight. Regardless, she paid her own way into the tournament and reached the quarter-finals. The number 1 ranked junior in the world at just 16, the future seems bright for the young American. She has already had a couple of impressive results at the full ITF level, and one would expect her to push her way up the rankings in the coming year, as well as challenging for the top prizes in the junior game. Her first full season on the senior tour has seen the young Russian improve her ranking dramatically from 402 to 190, albeit with only one title. She will be slightly disappointed with her progress though as she has lacked consistency, and could realistically have moved much higher up. Three wins over top 100 opponents have demonstrated her potential, but a number of poor defeats suggest she needs to work on the mental side of her game. Her best results have come on the clay, but having reached the junior Wimbledon final in 2011 and having reached junior doubles finals at all four Grand Slams, she has a game that could work on the other surfaces. It will be interesting to see whether she can add the consistency to her game and push up toward the top 100 in 2013. I always admired Jelena Jankovic more than any other player on the planet. She won many professional titles, and sometimes makes deep incurs the Grand Slam events.